Learn a skill that saves lives and opens up a world of fun and fitness activities. At Woking we follow the Swim England Learn to Swim Pathway. This means your child will be following a nationally recognised syllabus and awards system produced by swimming’s governing body. Our swim school offers opportunities for people of all ages and abilities to learn to swim under the guidance of friendly, qualified instructors in structured lessons based on Swim England guidelines. Our instructors follow continuous assessment ensuring pupils progress at their own pace and achievements are recognised by the Swim England award scheme. School age - 50 week swim school. Adults - 50 week swim school. Premium adult short courses including ladies only "dip-in" lessons, premium beginner, stroke technique courses. Children's holiday intensive "crash" courses. 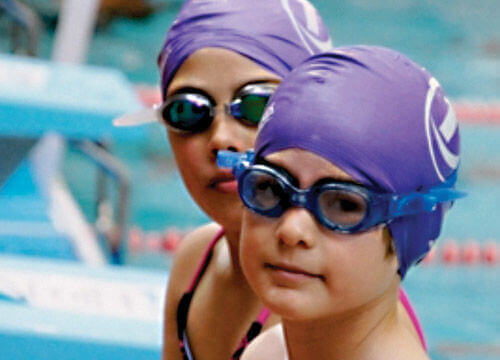 Complete the form above to enquire about swimming lessons at Woking.and a member of the team will be in touch. These lessons are available for all ages and abilities and are tailored to suit the individual’s requirements. Classes are available on a one to one basis or for two or three people and are 30 minutes duration. There is the option to purchase single lessons or in blocks of five. Please note: lessons may take place in an open swimming session. To enquire about private lessons please complete the form above and a member of the team will be in touch shortly.